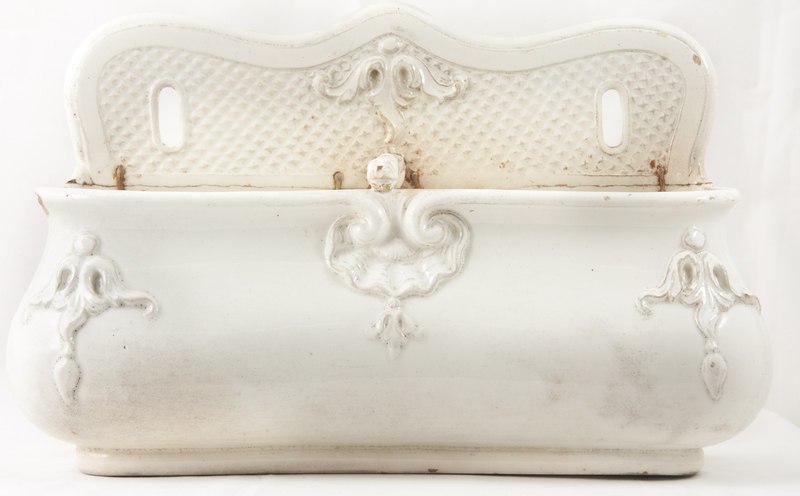 This tin-glazed earthenware basin marks the beginning of an era. 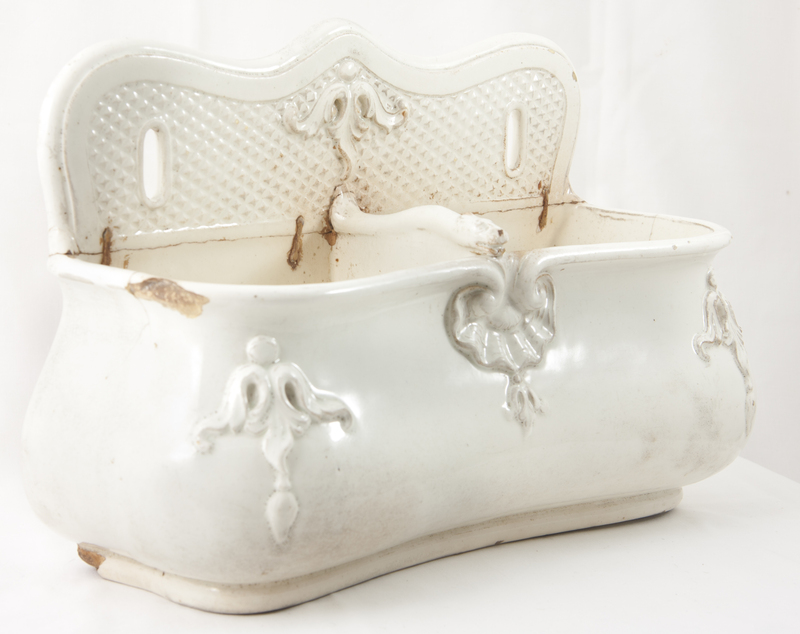 At a time not long before germ theory was established in the 19th century, this washbasin played an important role in reducing puerperal (childbed) fever amongst new mothers in hospital. This antiseptic midwifery basin originates from the obstetrical clinic at the Vienna General Hospital where Hungarian obstetrician Dr. Ignaz Philipp Semmelweis (1818 – 1865) is credited with the discovery of the contagion of postpartum septic diseases. In 1847 while he was working in the First Obstetrical Clinic of the hospital he observed that the doctors’ wards had three times the maternal mortality rate of the midwives’ wards. After careful study, Semmelweis noticed that interns working in the doctor’s wards also spent time performing autopsies on cadavers, whereas the midwives did not. He concluded that the interns must be carrying some sort of ‘cadaverous material’ on their hands which was infecting the female patients. 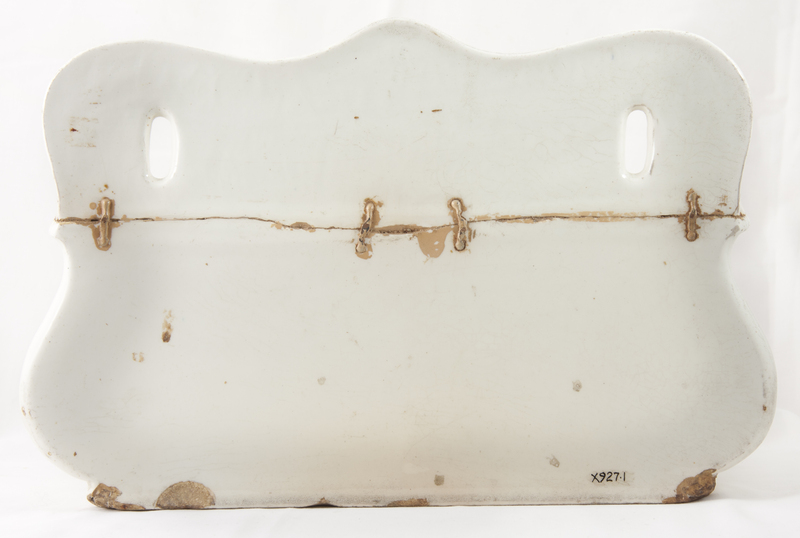 As a preventative measure, Semmelweis introduced hand washing with chlorinated lime solutions contained in basins such as this one for interns who had performed autopsies. This immediately reduced the incidence of fatal puerperal fever from about ten percent to less than four percent. 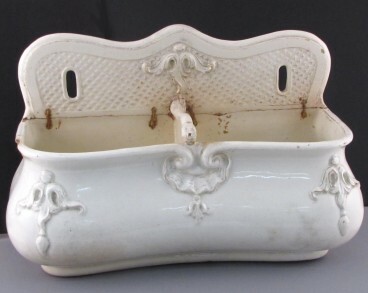 At the time, diseases were attributed to many different and unrelated causes and each case was considered unique. Semmelweis’s hypothesis, that there was only one cause and that all that mattered was cleanliness, was radical for the time and consequently was largely ignored, rejected or ridiculed. He was dismissed from the hospital for political reasons and harassed by the medical community in Vienna. He later died in an asylum. Only decades later when Louis Pasteur developed germ theory did Semmelweis’s work become acceptable.